On this day, ten years ago, a new startup was born: plista. Today, we have certainly grown up into a global establishment; Happy Birthday to us! 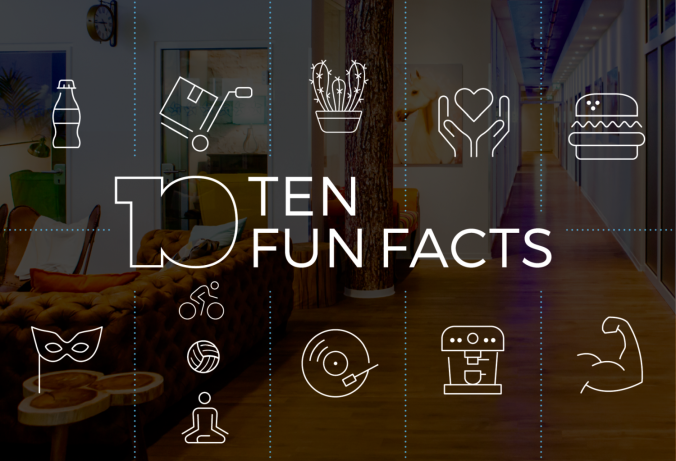 Last time, we shared 10 facts and figures about us. 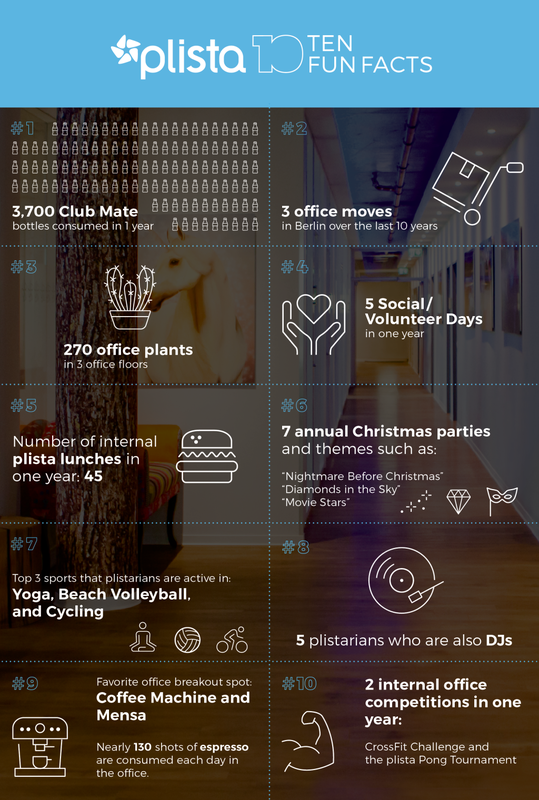 This time, to celebrate, we would like to share 10 fun facts about plista! Become a “plista insider” and find out what we like to do on our free time and how much Club Mate we consume. With so many plistarians working closely together, it is inevitable that friendships, favorite office hangout spots, and after-work activities will form over time. Work hard, play hard, right? Did you know that we have a few talented plistarians who are also DJs? Or that we have annual Christmas parties that are themed and encourage us to dress up in costume? Check out our infographic below to learn more about us! Stay tuned for part nine “10 Years plista” blog series post to learn more about plista and in celebrating our 10 year anniversary!